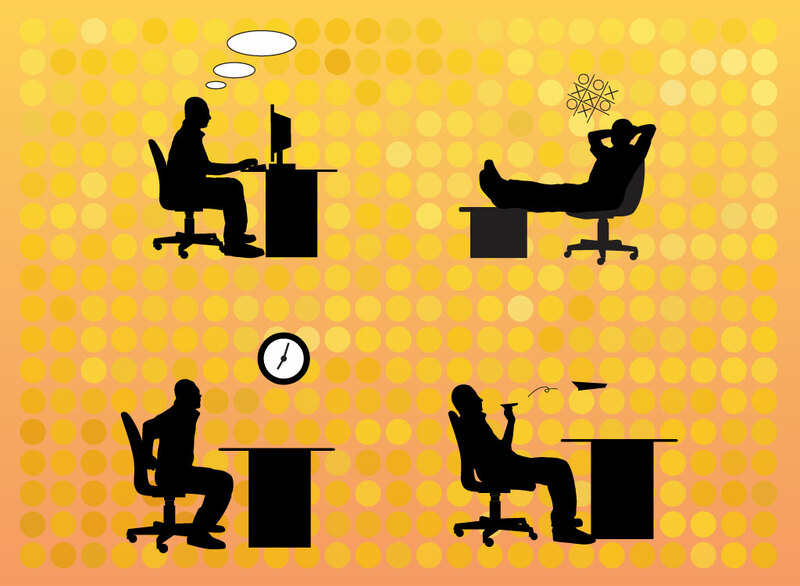 A set of four different scenarios with silhouette style vector office people. Clock watching, airplane throwing, day dreaming and email writing, all events that happen in your office every day. Download as AI and PDF for your fun business projects. Tags: Computer, Office, People, Silhouette, Time Clock, Worker, Workstation.